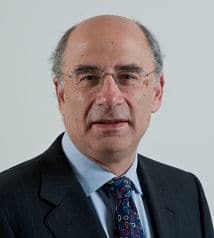 It is time to consider lowering the burden of proof used by the Solicitors Disciplinary Tribunal (SDT) from the criminal to the civil standard, Sir Brian Leveson, the president of the Queen’s Bench Division has said. His comments, echoing those of Mr Justice Leggatt, came in a ruling in which they criticised the tribunal for using the criminal standard to overturn a decision made by the Solicitors Regulation Authority (SRA) on the civil standard. The SRA uses the civil standard in its decision-making and is pushing for a change in the burden of proof used by the SDT, which the tribunal has been resisting. The SRA asked for the Administrative Court’s view. Leggatt J said: “The present situation in which the tribunal, when acting as a primary fact-finder, applies a different standard of proof from that which the SRA applies when carrying out that role is unsatisfactory and illogical. However, he said that while Re A Solicitor and the similar 2005 Privy Council ruling in Campbell v Hamlet were “ripe for reconsideration”, it was not appropriate to do so here given that the case before them did not involve the tribunal as the primary fact-finder. The ruling in The Solicitors Regulation Authority v Solicitors Disciplinary Tribunal  EWHC 2862 (Admin) followed the tribunal’s decision to quash disciplinary sanctions and practice restrictions the regulator had imposed on an immigration caseworker. The tribunal had quashed the rebuke and £500 fine handed out to Huseyin Arslan under section 44 of the Solicitors Act 1974, which allows the SRA to issue disciplinary sanctions against solicitors and their employees. However, Mr Arslan was working for well-known legal aid firm Duncan Lewis as a consultant, under a contract between the firm and a company which he owned. Leggatt J said the tribunal was right to find that Mr Arslan was not an employee and so could not be subject to the SRA’s discipline. He said this did not leave a significant lacuna, let alone a “yawning gap”, in the protection provided by the Act, as contended by the SRA. “There is no power to impose the most severe sanctions available under the Act on anyone who is not a solicitor. In particular, even an employee who is not a solicitor cannot have their professional qualification or right to practise removed or suspended by the tribunal, since they have no such qualification or right. Section 43 allows the SRA to prevent the involvement of a non-solicitor in a law firm without the regulator’s consent. Here the High Court ruled that the tribunal had been wrong to apply the criminal standard of proof when it was reviewing a decision made on the civil standard. He found that in overturning the section 43 order, “the tribunal went wrong in law in two connected ways”. This meant that the section 43 order was reinstated. Lord Justice Leveson agreed.